The most important question a Philadelphia truck accident lawyer will ask when evaluating a truck accident is “Who’s responsible?” This question is harder than you might think to answer. That’s because the truck driver and trucking company will try to do everything in their power to limit liability. As an accident victim, the facts of the crash might seem obvious to you. But remember that trucking companies have extensive experience in fighting back against accident claims. With uncertain costs associated with a trial case, trucking companies have developed systems, teams, and approaches designed to try to limit their liability. Filing a lawsuit is an important aspect of moving on after an accident, but the complications of filing a legal claim can be overwhelming for an injury victim. If your family’s life has already been changed, you can’t afford to wait. Trucking accidents have devastating outcomes like catastrophic injuries or even wrongful death. A fully loaded truck weighs as much as 80,000 pounds. When one truck crashes, a multi-car pileup can lead to ample wreckage and serious injuries. Trucking fatalities hit an all-time high in 2018. Government regulators have attempted to curb the rising numbers of truck accidents and their resulting costs. Regulations tell truckers how long they can be on the road, how many breaks they have to take, and how many days per week in a row they can safely drive. Some of these regulations, however, have not helped to reduce the number of accidents. There is a major shortage of truckers in the U.S., meaning that understaffed trucking companies are doing everything they can to move goods and meet deadlines. If this means that truckers cut corners and expose others on the road to the risk of crashes, however, lawsuits can recover compensation for victims. If you’ve recently been hurt in an accident, taking quick action to protect your rights is crucial for getting the funds you deserve for lost wages, property damage, medical bills, and more. Only a Philadelphia trucking accident attorney can help guide you through the process. You might be able to solve your case outside of court in negotiations or mediation, but you need an attorney at your side to make you feel confident about the choices in front of you. If your case winds up being your word against the trucking company, you could miss out on valuable settlement opportunities. The trucking company and their insurance carrier know it’s in their best interests to downplay your injuries or claim that you were responsible for the accident. They also know that as an accident victim, you’re hurt, possibly scared, and worried about paying your bills. Many of these insurance carriers will play to this and offer you a cash settlement early on in the case. Before you’ve gone through all your medical treatment, this cash offer seems tempting. But what if it’s not enough? If you sign a settlement offer and a release, you will never be able to pursue a personal injury claim against the truck driver or that company ever again. If it turns out that you undervalued your claim, you’re out of luck. The sooner you can engage a Philadelphia trucking accident lawyer, the more negotiating power you have with your injury claim. Why Does Liability Matter in Trucking Accidents? In a car accident case involving two drivers, determining liability is much simpler. In a trucking accident case, however, multiple people could be held responsible. As the driver or passenger in the other car, you might not be privy to all the information you need to establish liability. That’s where a Philadelphia personal injury lawyer comes in to help you with a proper investigation. The insurance company representing the truck business will gather as much information as they can to get a perspective on the potential losses they would face in this case. They’ll use this information to try to find out ways to win the case, such as arguing that your injuries were caused by another accident or incident in your past. What seems like an innocent request from medical records from years ago could enable the insurance company to argue that you are wrongfully trying to blame your injuries on this accident. No accident victim should have to go through a case like this alone. It can feel like an uphill battle dealing with an insurance company when that carrier has extensive experience in responding to accidents. The best way to make sure you’re not taken advantage of after a Philadelphia trucking accident is to retain an experienced lawyer immediately. As is mentioned above, one person or multiple entities could be responsible for your accident. Only an experienced Philadelphia trucking accident lawyer can help to sort out these complicated liability issues. What follows is an overview of some of the parties most frequently named in trucking injury claims. If the local government failed to correct hazards in the roadway, you could have grounds to pursue a legal claim against that entity. The timelines for filing against a government agency are shorter than the traditional statute of limitations. You need to hire a lawyer right away if you think that a dangerous guardrail or other hazard caused the accident. Whether the truck driver wasn’t paying attention, ignored red flag safety issues, or was speeding, the truck driver will almost always be named in a personal injury accident lawsuit in Philadelphia. Companies that work with truck drivers are often named in lawsuits following a Philadelphia truck accident. Proving that the company played a role in the accident is often challenging if you don’t have the support of a knowledgeable lawyer on your site. Sometimes these cases boil down to unrealistic expectations that push the driver further than they could or should go to meet deadlines or to cut corners when it comes to safety and maintenance. Sometimes, a truck accident in Philadelphia is not caused by the actions of the driver directly, but rather the way that cargo was loaded. If the loader didn’t inspect that cargo properly, the loader could be named in a lawsuit if the equipment fell off or spilled. Perhaps the maker of the original parts on the truck or the person who installed and maintained them could also be named in a lawsuit over a Philadelphia truck accident lawsuit. Faulty brakes, mechanical failures, or tire defects are all examples in which a parts maker could be held liable. If the trucking companies does not own the truck directly but instead provides it as a vehicle for the trucker through a lease, the owner could still hold some legal responsibility. This includes upkeep with the tires, checking the engine, fixing the brakes, and fluids inside the vehicle. An owner could be held liable for damages related to an accident if the owner failed to complete appropriate maintenance. What Will the Trucking Company Do When an Accident Happens? Trucking companies have clear procedures about how to respond to accidents. The drivers are instructed about what to do next, which usually involves calling their company. At that point, the company might have an established accident response team that shows up on the scene. In the spur of the moment when you’re already worried about your own injuries or property damage, you might not realize that this accident response team is there to gather any and all evidence to support the trucking company’s interests. For this reason, you need to rely on yourself to gather evidence at the scene. Pictures, videos, and statements from witnesses might prove to be some of the most important pieces of evidence from your accident. The trucking company might move or even destroy the truck or connected equipment shortly after they complete their internal investigation; this means that your entire case might rely on other evidence. Trucking companies, their insurance carriers, and their legal defense teams are well-versed in how to downplay liability or fight back. In cases in which the trucking company thinks they might be exposed to major damages, every resource will be deployed in an effort to keep costs down for that trucking company. As the victim in a Philadelphia trucking accident, however, you must be prepared to protect your rights. 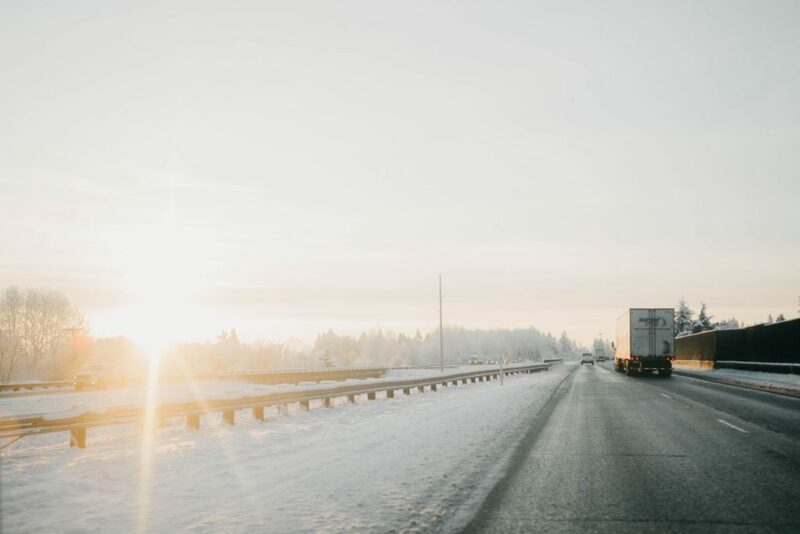 Only a lawyer who understands the devastating cost of trucking accident injuries will be prepared to step in quickly to assess the damage, begin gathering evidence, and represent your interests. The trucking company will move fast, either to ask for all your medical records or to get you to sign a release through a settlement. They are counting on you taking some time before hiring a lawyer. These actions, however, are not done with your best interests in mind. You need to empower yourself with the support of an attorney who is prepared to fight for you. Call Fox Law today at 215-568-6868 to learn more about how we look out for your future. We have a track record and commitment of giving personalized support and representation. Schedule a free consultation to discuss how the trucking accident happened, how it has affected your life, and your next steps.